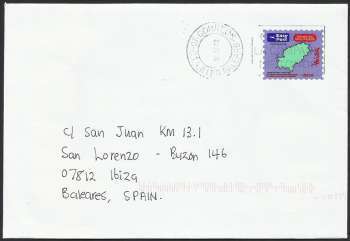 It was in the news that Correos claimed that they will not tolerate for postcards and letters with Easy Post label that were put into their mailbox. 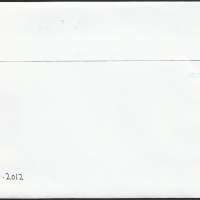 The items will neither be delivered nor returned to the sender. 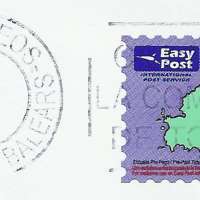 I have in October tried to post a cover with Easy Post label into Correos mailbox in Santa Eularia on 23 October 2012. It was then delivered almost a week later.